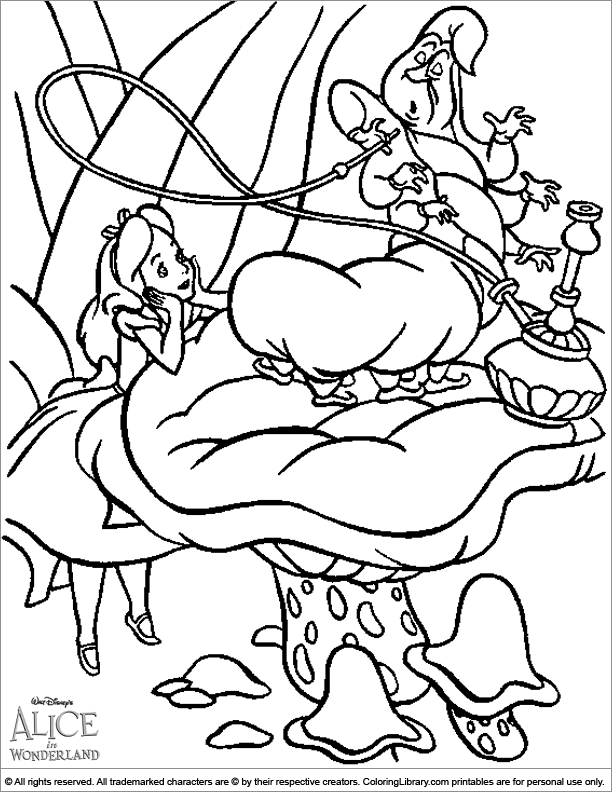 Get ready to color this fun Alice in Wonderland coloring book page for kids! Give your kids a stack of Alice in Wonderland coloring book pages so they can creative when they feel like it. Coloring pages are not only fun but they help your child hold the pencil correctly and help improve their hand eye coordination.